Thank you to everyone who has generously given in support of our mission. From the individual donor to organizations and corporations, all funds help us in our mission to increase survival rates of rescued kittens. 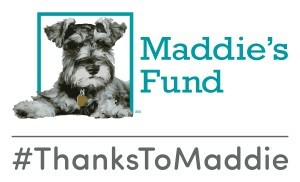 Maddie’s Fund: In August 2016, the Coalition was awarded a $5,000 Innovation Grant from Maddie’s Fund. Thanks to this grant, we provided several workshops to shelters and rescue organizations within the eastern portion of the United States. These workshops were tailored to the specific needs of the requesting or hosting organization. For a list of these organizations, visit our Programs page! Alley Cat Allies – Funding the production of Coalition kitten-care webinars presented live for Alley Cat Allies and archived on their website. 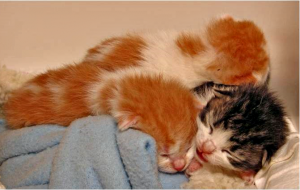 Animal Welfare League of Arlington, Arlington, VA: Spearheading a new approach to kitten care training via monthly Coalition workshops offered to their staff and volunteers as well as prospective foster parents. Leonard X. Bosack and Bette M. Kruger Charitable Foundation, Inc.: Covering Coalition speakers’ fees for two presentations offered to animal welfare organizations in the greater Washington D.C. area. If you have questions or a donation idea you’d like to share, please email us at info@kittencoalition.org. Note: We do not sell, share or rent donor information.